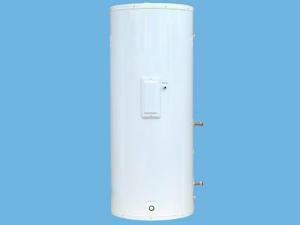 Split Solar Water Heating System HFT-200L/HFT-300LConstant temperature circulation: adopt the auto circulation system to realize constant temperature of the water inside the solar system; Ex-factory default is to ensure the constant temperature of water inside the system and pipelines. Solar PumpWelcome to visit our website, we hope our solar heating system, solar water heater, solar collector, solar PV lighting (solar lawn lamp, solar street light, solar yard light) can help you with whatever you require. 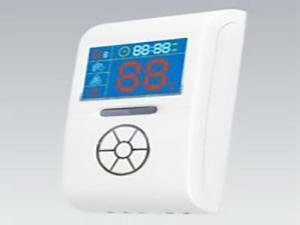 Solar ControllerThe solar controller can show system temperature within solar collectors and water tank. And users also can adjust the working station of the system. Copper Coil Water TankOwing to enamel technology used in water tank and double anticorrosive protection in magnesium and electronic anode, copper coil water tank could be used for longer time. Besides, copper coil water tank is characterized by high heat collecting efficiency due to application of U type vacuum tube and U type heat pipe collector. Integral Solar Water TankOwing to integration of pump station system, water tank and control system, integral solar water tank features simple installation and operation. 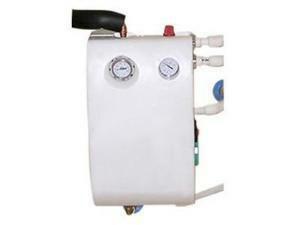 Pressured Balcony Hot Water SystemPressured balcony hot water system is a new product of our company. There are few limitations on it, no matter in installation height or installation module. 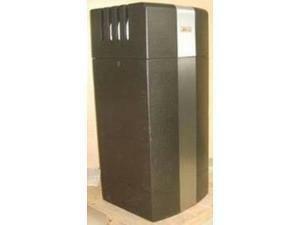 Himin Solar Co.,Ltd is China solar hot water heating system manufacturer. 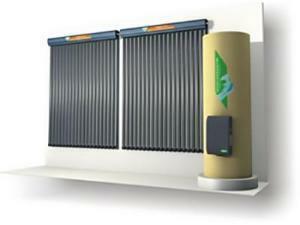 Our split solar water heating system consists of solar collector, solar pump, solar water storage tank and solar controller. 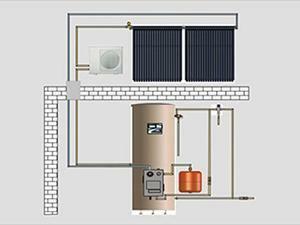 Split solar water heating system has solar collectors on roof and water tanks inside house, it is used to transfer heat energy into water tank by natural or forced circulation of working fluid between solar collector and water storage tank. 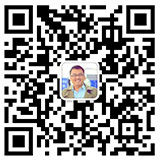 Himin received ISO9000, CE, TUV and Solar Keymark certificates for solar water heater and heating system. Himin is known for cutting-edge technology in fields of tower solar power generation, combination of solar energy and ground source thermal pump, and PV on-grid power generation. There are a variety of split solar hot water heating system and solar PV lighting system for industrial and domestic uses. Thanks.